There comes a time in a lot of people’s lives where they need to rent their first apartment. When these compulsions call, you have to answer, even if it means paying for living. It doesn’t have to be hard to make arrangements. This is because there is an abundance of apartments on the market for rent. If you need to relocate and have little time, energy or money, your first apartment isn’t that difficult to find. 1. Compile a listing of all your wishes; this should include number of rooms and bathrooms, and other areas like a backyard or patio. Decide how long you need to be renting an apartment for, and the hunt is on. 2. Always do your research. Check out websites like Google, search the words “apartment for rent” and be sure to include the location of your desired neighborhood. The results should pull up countless options, weigh out your findings, 1st choice, 2nd, 3rd and etc. You might find some apartments for rent on Craigslist, email the advertiser for more details. Remember to be careful and don’t fall for any scams. If it sounds too good to be true, likely it is. 3. If you aren’t into looking online, seek assistance from a real estate agent or property manager. They are the specialists in this field and have insider information which can result in finding your first apartment. 4. Schedule appointments to see apartments for rent, set up many in the same day. Take your potential roommates, if any, or a family member. Inquire about the units you may be interested in, since you would need to know what is included with the rental. 5. When you find a place that you think can be your first apartment, ask if there are any extra fees, or security deposits, and be aware of your rights as a tenant. Read over the rental agreement and make sure there is nothing false in the fine print before to signing. And lastly, consider getting renters insurance, just in case some freak accident happens, you know you’re covered. Follow these 5 tips and you are sure to be renting your very first apartment. 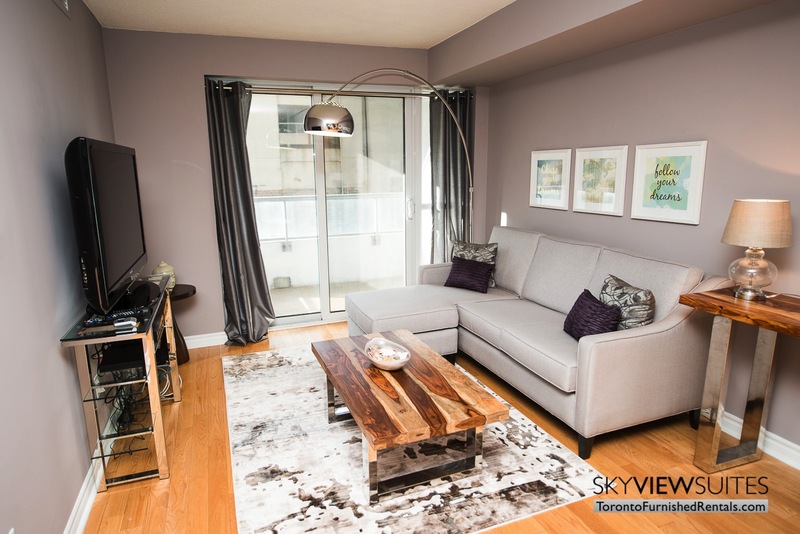 For furnished apartment rentals in Toronto, look us up at www.torontofurnishedrentals.com.